Down the Hatch! Then What? When popping a pill, how often do we think about what happens next—to the pill, or to our bodies? Maybe we assume the body welcomes any extra help to soothe our headache or control our blood pressure. This WEEKLY looks into the mystery of what comes after the swallow. Our bodies immediately respond to any pill (also known as a small molecule drug) we ingest as an unwelcome intruder. It tries to get rid of the alien lickety split. The process by which the body attempts to oust the foreign chemicals forms the basis of drug metabolism. 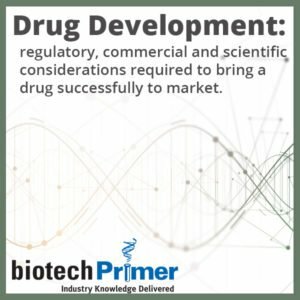 Understanding this process is a critical part of drug development. The liver functions as the most important organ when it comes to drug metabolism. So it makes sense to focus on the liver enzymes that metabolize small molecule drugs and how they work. Have you ever noticed the warning label on certain prescriptions advising the patient to avoid grapefruit juice? It contains chemicals that can inhibit proteins essential to drug metabolism. Depending on the protein, the beverage either increases the amount of the drug in a patient’s blood stream to potentially toxic levels or decreases how much medicine reaches its target in the body. Bad news either way. Scenario 1: Too much drug. The small intestine and the liver are both home to one such protein, CYP3A4. Grapefruit juice inhibits CYP3A4, which makes it accumulate in the patient’s bloodstream. These higher concentrations may cause direct toxicity or damage the liver over time. In general, higher than prescribed amounts of a drug force the liver to work harder. Only medicines broken down by CYP3A4 enzymes are potentially affected by grapefruit juice. Scenario 2: Not enough drug. 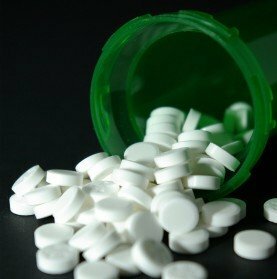 Statins, which help lower blood cholesterol levels, and include medications such as Zocor (Merck; Kenilworth, NJ) and Lipitor (Pfizer; New York City, NY) can result in increased levels via CYP3A4 inhibition. High blood pressure medications, such as Adalat (Bayer Pharma; Berlin, Germany) may cause toxicity. The anti-depressant/anti-anxiety medicines Zoloft (Pfizer) or BuSpar (Bristol-Myers Squibb; New York City, NY). Drug levels may go up. Erectile dysfunction medications such as Viagra (Pfizer) and Cialis (Eli Lily; Indianapolis, IN) may become toxic. Do you struggle to understand the basic science that your employer or clients are developing? 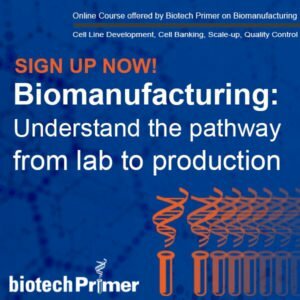 Our 2-day BioBasics: Biotech for the Non-Scientist course in May will give you the science knowledge to hold your own in biopharma. Inhibiting CYP3A4 is not always a bad thing. Gilead Science’s (Foster City, CA) Tybost is a drug that inhibits cytochrome P4503A enzymes, another group of drug-metabolizing liver proteins. The inhibition increases the efficacy of certain antiviral drugs. Normally the enzymes break down these drugs. A combination of Tybost and the antivirals boosts the long-term concentrations of the antiviral medication, boosting their effectiveness. Tybost is approved both as a stand-alone drug and as a component of a four-drug-combination anti-retroviral therapy for HIV. The field of pharmacokinetics (PK) focuses on how the body affects a drug. In contrast, pharmacodynamics (PD) relates to how a drug affects the body. Absorption: the process of a drug entering blood circulation. Distribution: the dispersion of the drug throughout the body. Metabolization: the body’s recognition and subsequent breakdown of the parent compound into daughter metabolites. Excretion: the elimination of the drug from the body. Some drugs are designed to be prodrugs—given to patients in an inactive or somewhat inactive form. The patient’s own metabolism then fully activates the drug. The anti-clotting medicine Plavix (Bristol-Myers Squibb) makes an excellent example of a prodrug. When it first came to market, Plavix faced a recall. Nearly 14% of patients on the medication suffered strokes or heart attacks due to blood clots anyway. Further investigation revealed patients with a mutation in the liver enzyme CYP2C19 couldn’t activate the Plavix, making it ineffectual. The continued sale of Plavix hinges on prospective patients taking a genetic test to see if they have the anti-Plavix mutation. Doctors prescribe patients who have the mutation another medicine that acts by a different mechanism. Two enzymes—CYP2D6 and CYP2C19—play a fundamental role in the metabolism of an estimated 25% of all prescription drugs. CYP2C19 has three variants, while the CYP2D6 gene has over 90 different variants. Depending on a patient’s combination of variants, he or she may metabolize the drug too quickly, too slowly, or in just the right way. Roche Diagnostics (Basel, Switzerland) markets a test that lets physicians quickly determine a patient’s “metabolizer type” based on their specific combination of genes. The test, AmpliChip CYP450, uses SNP chip technology to assess a patient’s gene variants and ability to safely process certain prescription drugs. Livers. They’re not all the same. Understanding the differences in how they handle prescription drugs is just one more piece of the precision medicine puzzle.